In 2007, a team of Georgia Tech engineering students built a house that took sixth place in an international competition by the U.S. Department of Energy for the way it used solar energy to maximize the energy efficiency of the home. And even though that house was designed for a competition six years ago, a lot of the technologies it used aren’t just a dream anymore – they are being used in new and retrofitted homes today to save people a lot of money on their energy bills. For example, new “net-zero” homes are being built in New Paltz, N.Y. right now. These homes have extra-thick walls, solar panels and geothermal heating and cooling systems. This means that the homes will likely generate more energy than they use in a year. And it’s not just happening in New York – it’s happening all over the country. And not just with new homes – a lot of homes are being retrofitted and upgraded to offer these same benefits. While the new homes are more expensive than those that aren’t so energy efficient – and while the retrofits do require an up-front expenditure – they can mean huge savings on energy bills over the long term. One family living in a net-zero home now estimates that they save around $6,000 per year on their energy bills. 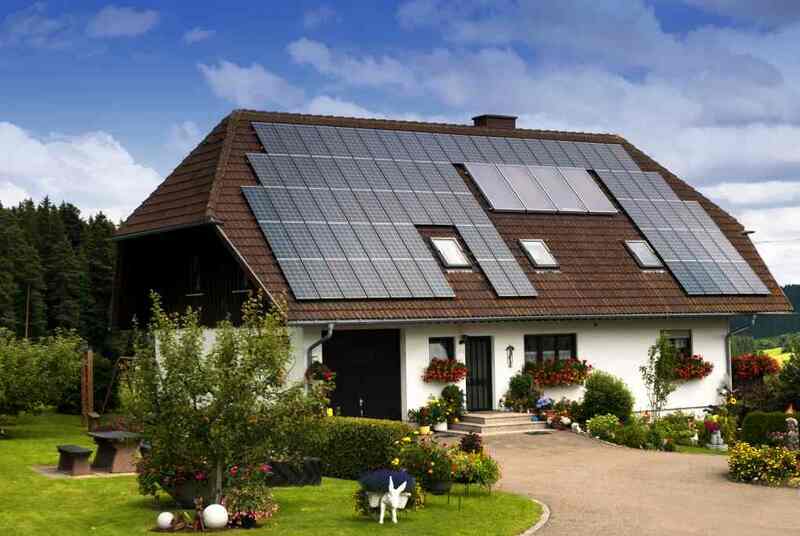 Homes are equipped with solar panels to maximize the energy from the sun, and have solar-powered batteries that are used as a backup when the sun doesn’t shine. All appliances are Energy Star certified, and they use the latest technologies like mini-split heat pump systems. These systems don't use traditional ductwork, and have separate blowers, so the AC can be one in one room but not another, depending on where you need it in the house. Though the up-front costs can be substantial, more and more people are getting on board because of new bank and government financing options that are available to help offset the cost of the upgrades. A lot of programs now allow you to pay back the loan for the upgrade from the savings on your energy bills. And there are a host of federal and state tax credits available that can help make the upgrades even more affordable. Ultimately, these homes cost more up front, but the payoff in the long-run makes them well worth it.